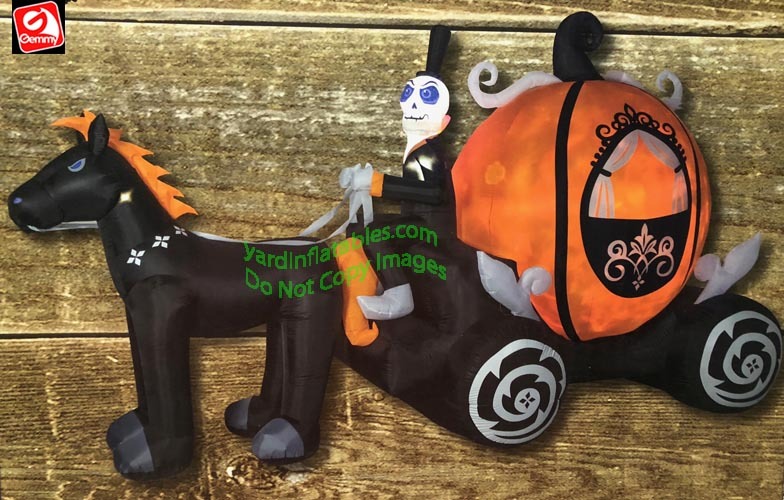 Fire & Ice Skelton Pumpkin Carriage Scene! 11 1/2' Long x Over 6' Tall x 4 1/2' Wide! 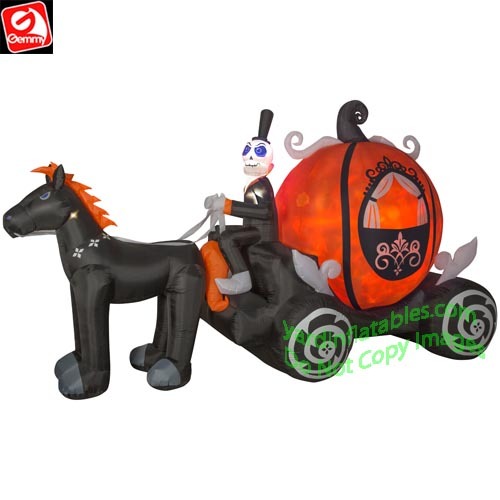 This inflatable comes with an internal spot light fixture that shines on the Pumpkin Carriage to make a Fire And Ice effect. LOOKS GREAT DAY OR NIGHT!